Are you a Business Continuity Manager or training for the job? Are you ready to keep the business up and running in the face of emergencies ranging from earthquakes to accidents to fires to computer crashes? 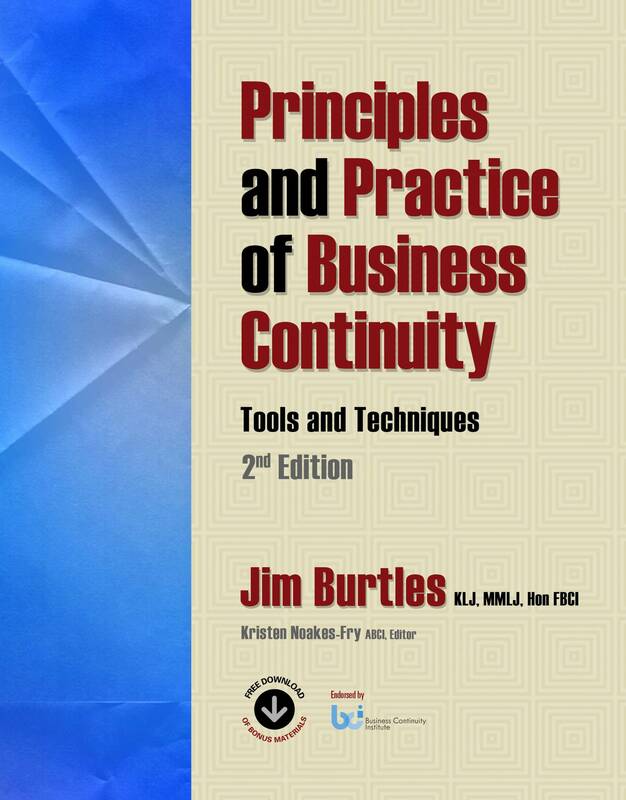 Principles and Practice of Business Continuity: Tools and Techniques is organized with all the features you need to master business continuity. Each chapter starts with learning objectives and ends with a multiple-choice self-examination covering the main points. Thought-provoking exercises at the end of each chapter help you to apply the materials from the chapter to your own experience. A glossary of the key terms currently in use in the industry and a full index allow for more depth of study. 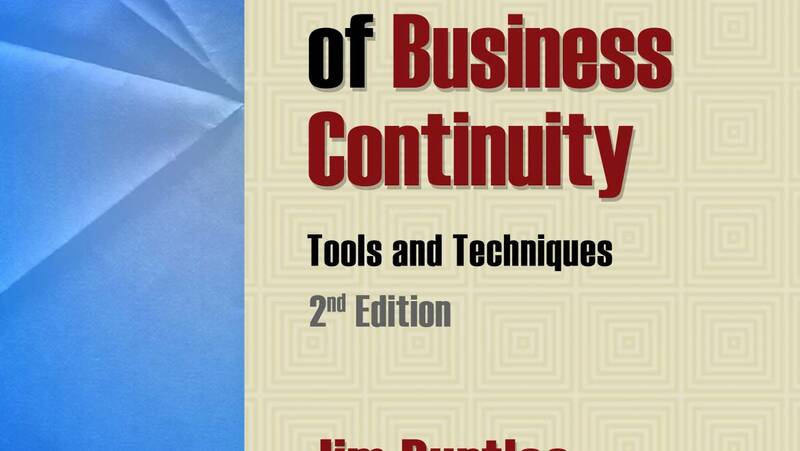 A downloadable the Business Continuity Toolkit offers wealth of extra online material prepared specially for you by Jim Burtles. BONUS – Extensive, Downloadable Business Continuity Toolkit! Upon confirmed classroom adoption, comprehensive Instructional Materials are available! Learn the essentials of the Business Continuity discipline and profession and the practical basic information that will help you move fast to achieve results. Gather and analyze the information you need to identify possible threats, deal with the symptoms, and take steps to prevent the consequences. Organize resources, teams, and facilities to protect, recover, and restore critical business activities. Create the plans that are at the heart of your Business Continuity program. Manage plans, resources, and people for a BC capability that will stand the test of time. Move beyond basic planning to audit and maintain capabilities, enhance governance. Prepare for a rewarding career in Business Continuity.